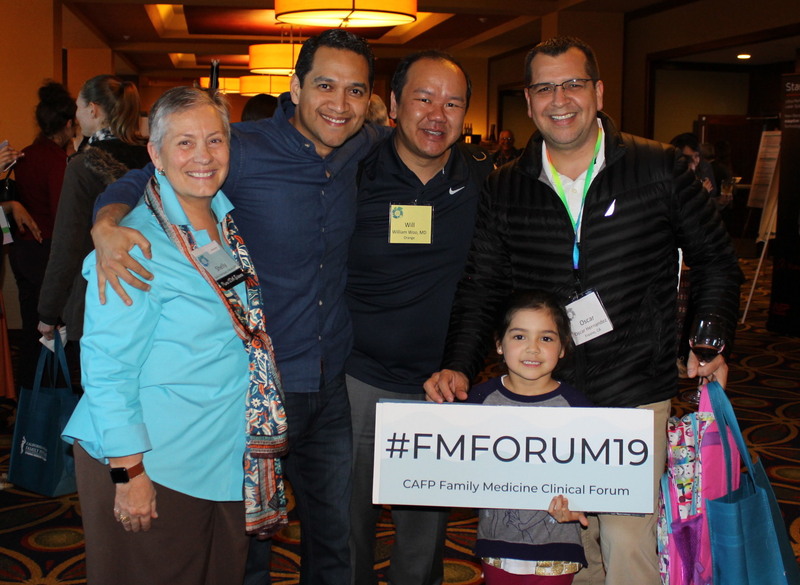 More than 260 physicians gathered in Monterey for two and a half days of excellent CME, networking, camaraderie, and all-around fun at CAFP’s 2019 Family Medicine Clinical Forum. The event included an all member reception, community service project, the CAFP Foundation’s 5K Fund Run, and optional workshops. The 2020 Forum will be held May 15-17 at the Long Beach Hilton Hotel and will feature a keynote by T.R. Reid, author of The Healing of America: A Global Quest for Better, Cheaper, and Fairer Health Care. Join us for our 11th annual Family Medicine Summit on September 7 in Los Angeles. CAFP's Family Medicine Summit provides an unprecedented opportunity for California medical students, residents, program directors and thought leaders in family medicine to convene for a day of learning, leading, reflecting and connecting. 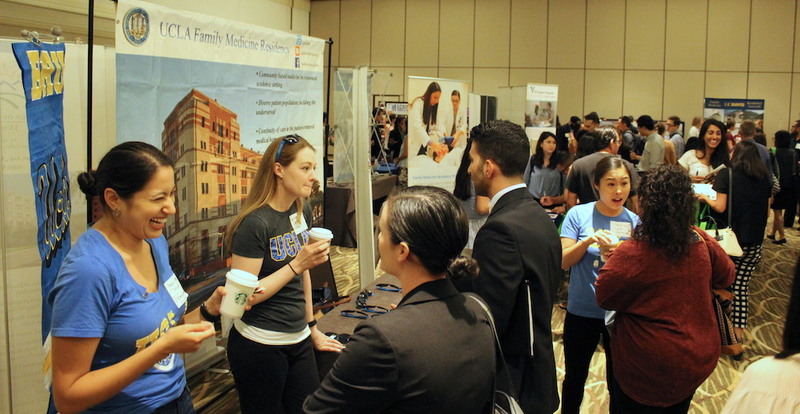 The Summit is a unique chance for attendees to network, develop leadership skills and advocacy acumen, and explore programs at the Residency Fair. Have You Paid Your Dues and Reported CME? Read the latest issue of our quarterly magazine, California Family Physician. The Family Physicians Political Action Committee (FP-PAC) is a bipartisan group dedicated to helping pro-family medicine candidates win election to public office and educating current legislators on the importance of family medicine. 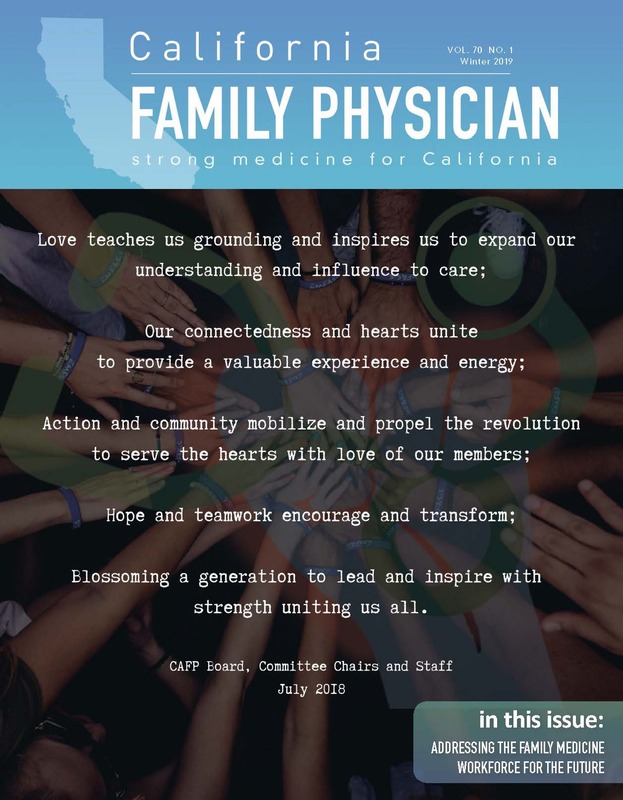 The CAFP Foundation is dedicated to advancing the specialty of family medicine in California and providing opportunities for medical students and residents as they develop leadership and advocacy skills.